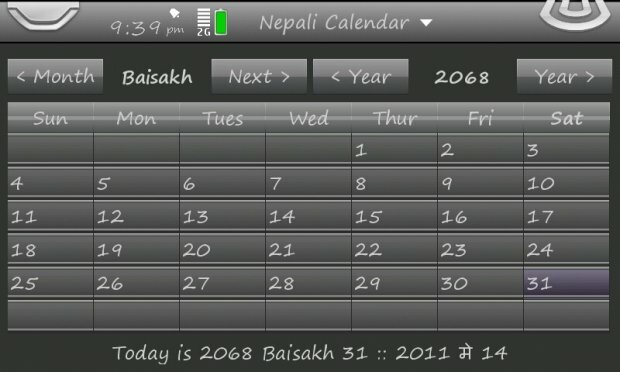 Did you ever wished to get Nepali Calendar for your Maemo based N900? If yes you came to right place. 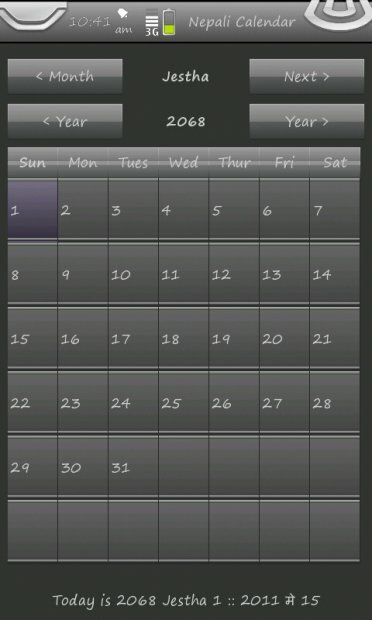 Now get Nepali calendar right in your Maemo OS based N900, no need to use websites (its offline app), no need to check wall calendar, no need to ask anybody. So what exactly is Nepali Calendar? There were few instances where I desperately needed Nepali Date but I have no choice but to use slow gprs of Nepal Telecom. 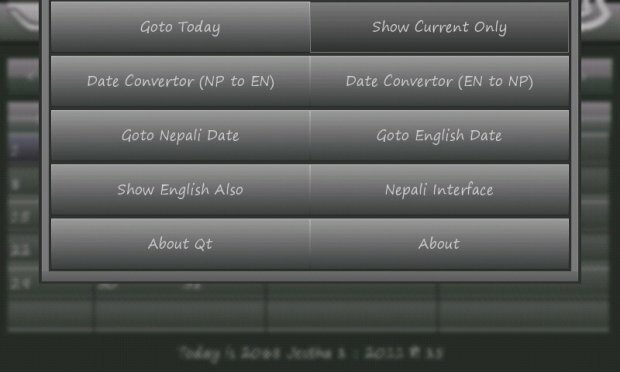 There was a j2me app to display Nepali Calendar but it didn't even loaded in micro emulator inside n900. I even tried to tweak multi-date-cal widget based on python without success. So I was left with no choice but to develop my own calendar application. Thanks for reading, most probably this app won't be of much use for people other than Nepalese although if calendar system in your country is also different then you can modify the data and use it for your own calendar system. I believe all my important to do list are completed, now only minor unimportant things are left which I am not much interested in or don't know how to do it. Check the data of 2066 BS: days in Falgun and Chaitra are 29 and 31 respectively in my data while Nepali Calendar by Poudel and Poudel (one which shows green widget in win oses) shows those to be 30 and 30. Any reference as well as verification will be appreciated regarding those months. And yes thanks to Ishwori Kandel for providing me those data. I think I am done with Nepali Calendar, this version seems to work well as well as feature rich engough. I have GRE to prepare for and I am kind of wasting my precious time developing this application. So don't expect newer versions (sooner or later) except if there are major flaw in the system which I might take a look at and replease minor patched versions. Another reason being this app is useful only to handful of peoples, might release symbian version some day. Application needs to be run as root as in other case the application can not save its configuration file. Latest version 0.1.0 is in devel now. Usual warning applies if you want to try anything from devel. Alternately you can get the package from here in zip format. Remember you need rootsh plus qt library installed in your mobile to get it working.